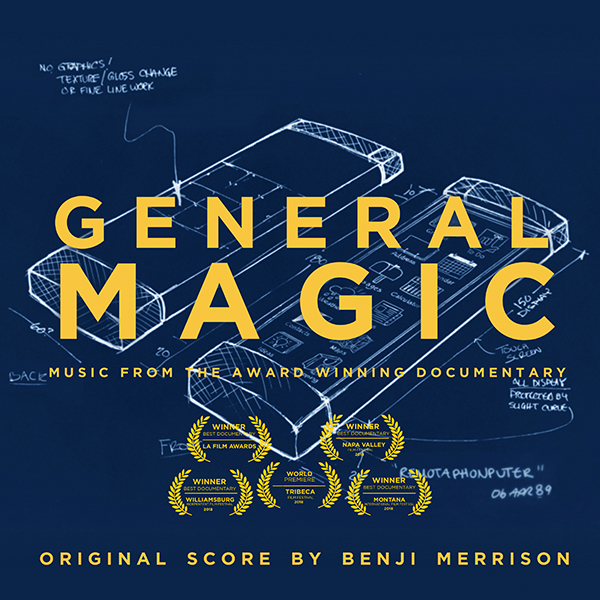 Benji Merrison’s hypnotic, lyrical soundtrack to the story of General Magic, Sarah Kerruish and Matt Maude‘s award winning documentary about the 1989 Silicon Valley startup. From the first smartphones to social media, e-commerce and even emojis, the ideas that now dominate the tech industry and our day-to-day lives were born at General Magic, a 1989 Silicon Valley startup that most of us haven't heard of. General Magic is the story of one of history’s most talented technology teams and this documentary is a tale of how great vision and epic failure can change the world. With members of the original Mac team and the creators of the iPhone, Android, eBay and more, this is the story of one of history’s most talented teams and what happens when those who dream big fail, fail again, fail better and ultimately succeed. Premiering at the Tribeca Film Festival 2018, General Magic has already won Best Documentary at the LA Film Awards and Williamsburg Independent Film Festival, as well as the Jury Award at Napa Valley Film Festival. Benji Merrison is an award winning composer, known for BBC’s Dynasties, Class, Horizon and ITV’s Victoria. His distinctive musical voice is in high demand and he has scored music for hundreds of projects across film, television, installations and events. He has worked with all major UK broadcasters, along with many other networks and brands worldwide.